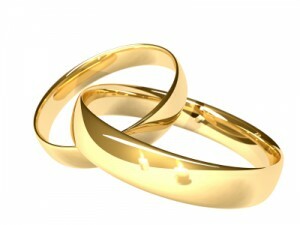 Two linked gold rings. Two candles reflected in the gold. Shallow depth of field.